Edit: UPDATE: Other users have found an easier way to do this project. Please read the entire thread before deciding how to tackle this project. My solution is not one that I'd use. The following thread serves to document the process on how I installed front and rear Brembos on my 2015 XT. DISCLAIMER: I DO NOT ADVOCATE OR ADVISE ANY MODIFICATION TO YOUR BRAKING SYSTEM. ANY MODIFICATION IS AT YOUR OWN RISK, AND I TAKE ZERO RESPONSIBILITY FOR ANY ATTEMPT TO PERFORM THE FOLLOWING MODIFICATION. DO AT YOUR OWN RISK!!! Ok, now that that's out of the way, here's the basics on what you'll need. 8. Wheels that clear Brembos! 12. A fridge stocked with cold beers for you and the friends you rope into helping you. And remove your wheels to gain access to your brakes. The removal of your stock brakes is pretty straight forward, so I won’t get into that. 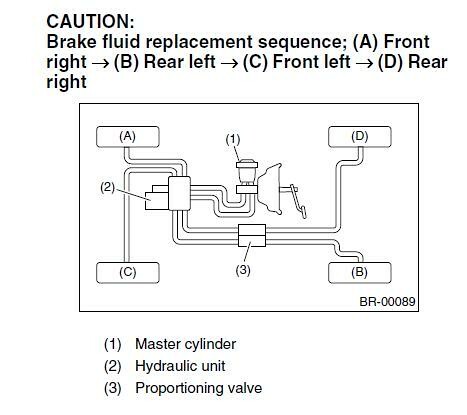 Just keep in mind that when you remove your brake line from the stock calipers, fluid WILL leak out, so try not to make a mess. You’ll need that 10mm flare nut wrench to remove the brake line from the hard line. Don’t try this with a normal wrench, or you’ll hate yourself in about 5 minutes when you strip the crap out of the connector. Work smarter, not harder. You can go ahead and connect your new lines now if you’d like. Just tuck them aside until later. I used Goodridge lines, part # 24219-CL. Now that you’ve got the stock brakes out of the way, you’re ready to start getting those shiny new parts on. We’ll start with the front, as it’s much easier. 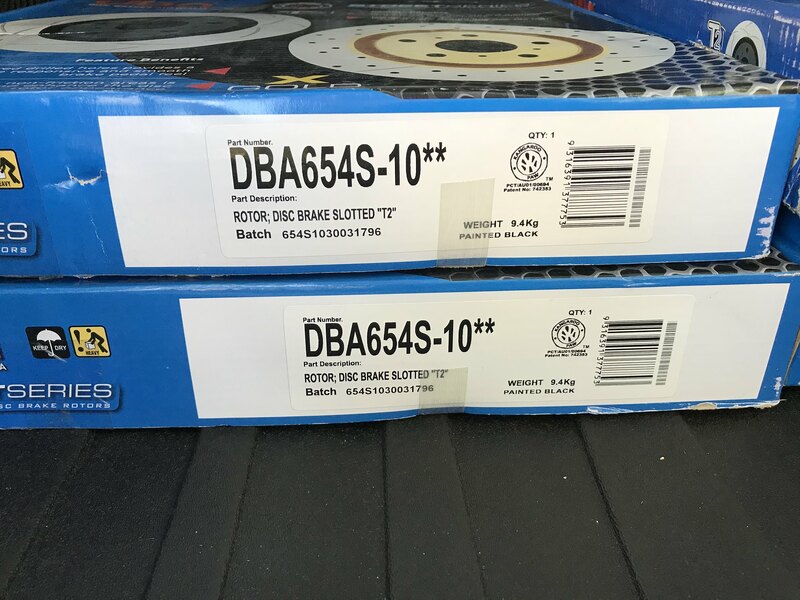 Personally, I used DBA rotors for the front, specifically part # DBA654S-10**. You could also use STI rotors, but you’ll have to get them re-drilled to 5x100. Now is the time to add those extended studs. Don’t do what I did, and get everything all together, only to realize that you’ve only got about 5 turns on your lug nuts. Safety first, get extended studs. You can hammer out the studs without removing the hubs, by bending the shield slightly out of the way. If you want to hold onto the stock studs, make sure you use an old lug nut and hit that, NOT the stud, as you’ll mushroom the stud by hitting it directly. Take out the old studs, and add in your new ones. 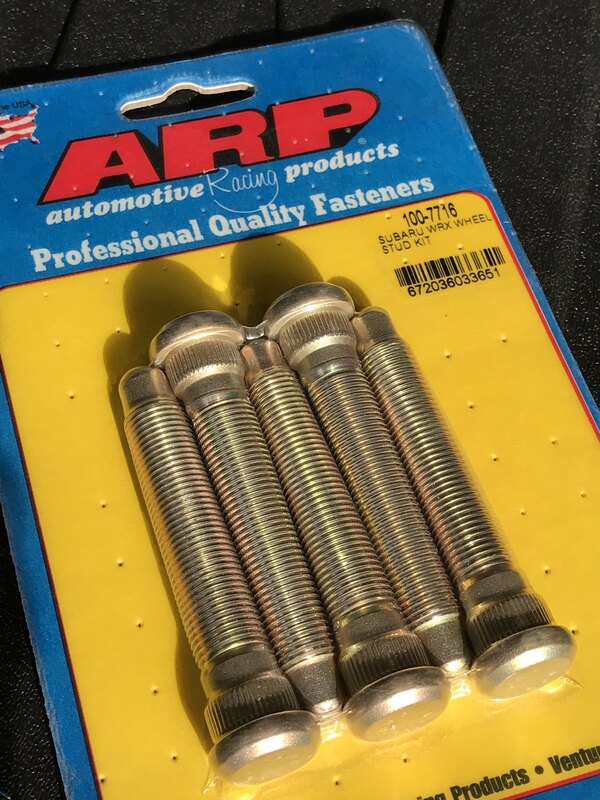 I used ARP studs, as their quality is well known. Part # 100-7716. Once the new studs are in, make sure they are properly seated using an impact gun. Once the studs are on, go ahead and grab your rotor. Clean the braking surfaces with brake cleaner, and put them in place. Take a look at the dust shield, making sure yours isn’t touching the rotor. If it does, gently persuade it not to with a hammer. With that in place, it’s time to add your caliper. Make sure you’ve depressed the pistons back into the caliper prior to this, as it’s a lot easier to do BEFORE it’s on the car. This will make it easier to slide the pads in after it’s mounted. Also keep in mind that the bleeder should be facing UP, not down. Use the caliper bolts (Part # 901120103) to attach the calipers to your stock mounting points. The SJ bolts WILL NOT work, as the thread pitch is different. Tighten them to 80 ft/lbs. DO NOT overtighten these bolts. They tend to break, getting stuck inside the caliper. Save yourself the trouble later by using a torque wrench. Once the caliper is mounted, slide in you brake pads, and put the pins and plates in place. Attach the brake line to the caliper, ensuring you are adding new washers as well. These come in the Goodridge kit. After that, you’ll all done! DomozitoLK, STR76, Trey T and 4 others like this. Last edited by Raz007; 02-28-2019 at 08:00 AM. I ended up completely removing the dust shield during the first attempt at installing hese rotors, so I’m unsure if you need to do so or not. I’d operate under the old stand-by “you can always remove material, but not add some back” method for these shields. I went ahead and re-painted the machined surface on the hub to prevent future issues with rust. Now that you’ve got your shiny new rotors machined, we’re ready to install, right? NOPE! If you try to bolt them up, you’ll see that you’ve got two problems. First, the inside lip of the rotor drum hits the assembly, and the inside edge of the rotor face contacts the inside of the caliper. The spacing is wrong, and that’s where the spacer comes in. I used a 5mm machined spacer between the hub and the rotor to move the caliper outward, which solves these issues. Measuring everything out, I think a 4mm spacer might be better, but 5mm is a lot easier to find. With this spacer in place, the rotor clears everything just fine, and you’re good to go. Obviously, those extended studs come into play here as well, so go ahead and install them BEFORE you bolt everything up. The install of extended studs in the rear is a bit trickier than up front. You’ll need to remove the hub from the assembly to get to them. This is where that 32mm socket comes in handy. You’ll need to break loose the large nut in the center of the hub first. This is MUCH easier to do while the rotor is still on, and the parking brake works. Use an impact gun. If you don’t, you’ll need to bend that tab that holds the nut. Take a close look at the nut and you’ll see what I mean. With an impact gun, it should come right off. Once off, take the rotor off (Pro-tip: release the parking brake, so you don’t look dumb) and locate the 4 bolts on the back side of the assembly that hold the hub in place. Remove those bolts, and use a 3-arm puller to easily pull the hub off the axle. Knock out the studs like you did up front, and add in your extended studs, same as the front. Install is the opposite of removal. DomozitoLK, 3 boxers, STR76 and 4 others like this. Last edited by Raz007; 11-27-2017 at 06:05 AM. Now that you’ve got your extended studs in, you can bolt everything up. The spacer comes first, followed by the rotor. Bolt up your rear calipers using the caliper bolts. Use part # 901000326 NOT #901120102 . The second part # is for the GOLD Brembos, and is a lot shorter. These are the ones suggested in a few threads, but DO NOT order those. The 90100326 are a lot longer, and will thread all the way through the caliper. The shorter bolts aren’t long enough to safely hold the calipers. Remember that your bleeders need to point upwards. Once it’s bolted up, go ahead and attach your brake line, again making sure you add the supplied washers. And your rears are ON! Make sure you get all the air out of the system. Once you’re all done, stand back and marvel at your accomplishment. You’ve got Brembos on your Forester! 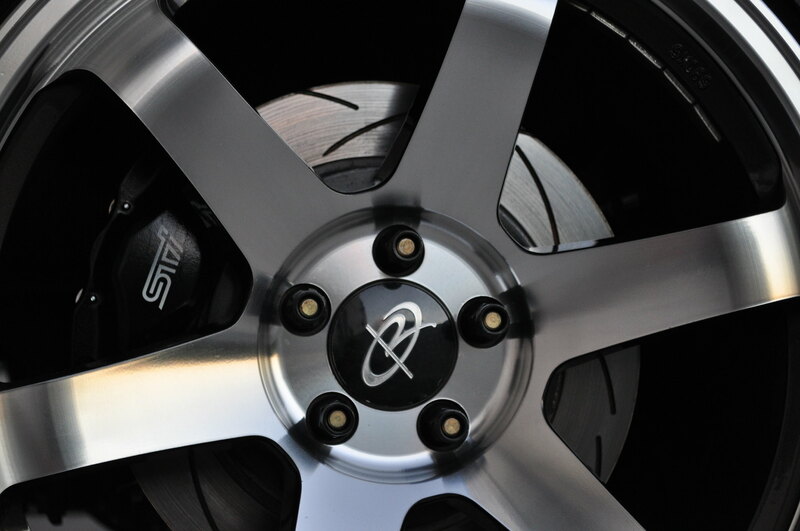 Get your wheels on, and torque your lugs to spec on your fancy extended studs. Confirm that your parking brake is working, and adjust as necessary. Check your brake pedal, and make sure if feels right. Take a test drive (CAREFULLY) and confirm that everything is working as intended, and the pedal feels good. If so, you’re all set! Follow your chosen manufacturer’s instructions on bedding your new brakes, (CAREFULLY) to get the best performance and longest life out of your new setup. Then go take some pictures! I hope this post helps those that are interested in doing this swap. It was quite the journey, and I invested a lot of time and effort into researching how exactly to make this work. I hope that this write-up makes it easier for the next person doing it. I’ve also been in contact with the engineers at DBA, so perhaps one day they’ll offer a rotor for this application, which should reduce both the effort involved, and the cost. Speaking of cost, I’ll try to answer that question before the question is asked. Admittedly, this aspect can vary greatly depending on the price of the calipers, parts availability, and machining prices. I’d estimate that you’re looking at somewhere between $2,000 and $3,000 to complete this project, if your wheels already clear Brembos. No, your stock wheels won’t clear the front calipers. You’d need a ridiculously large spacer to make that work. On to the feel. After completing the swap, I can say that I feel immensely more confident in the braking ability of my SJ. Under normal driving, I don’t feel a huge difference, which is nice. However, when you need to stop in a hurry, it STOPS. I didn’t compare braking distances before and after, however I can say that it is markedly shorter. The pedal is firm, linear, and I haven’t felt an ounce of fade, even after repeated hard stops once the pads and rotors were properly bedded. It’s definitely an upgrade for our Foresters. I'll also add that I do have Eyesight on my XT. Obviously, I'm not going to speed towards a brick wall to test the functionality, but I did conduct a test of the adaptive cruise control while pacing the wifey in her Impreza. The system kept the correct distance while slowing down, and worked the same way it did before in stop and go situations. DomozitoLK, STR76, xtlawyer and 3 others like this. Last edited by Raz007; 11-27-2017 at 11:00 AM. Last edited by Raz007; 11-27-2017 at 06:28 AM. Well ******. I am really hoping someone finds the parts that make this a bit easier. I was with you till you had to use spacers on the rear. It's not a matter of finding the parts @aggie113 , it's that nobody makes a rotor with the correct specs. The only other way you'd possibly be able to do this would be to figure out if a different rear assembly could be used. I briefly researched into that, but you'd probably get into needing different axles, which might need a different differential, etc etc. I wasn't in love with the spacer idea either, but with the extended studs, a hubcentric spacer, and the entirety of the hub face flat against the spacer, I don't foresee any issues. If I was going to be tracking the car often, I'd think more about heat transfer, but as a daily driver, I'm not expecting issues. Enter in the disclaimer. I'm doing it at my own risk, and I've accepted that. The improvement in braking is worth it to me. STR76 and Fozzy_Edz like this. very nice write up man. STR76 and Raz007 like this. Raz, this is an excellent thread in every way... detail, composition, and documentation. The work is excellent. This post in no way besmirches your excellent and appreciated effort, but I have to ask why? To have the STi badge? Cool bling, as you've noted? Or were you intent on upgrading an already race-ready build and needed better brakes? With the SJ FXT's large and competent brakes, for the package and its intents, these brakes are already more than enough for a daily driver. It would take a lot of serious chassis modifications to prepare one for track duty, but there again I have to ask why... like in maybe it's the wrong platform for that. 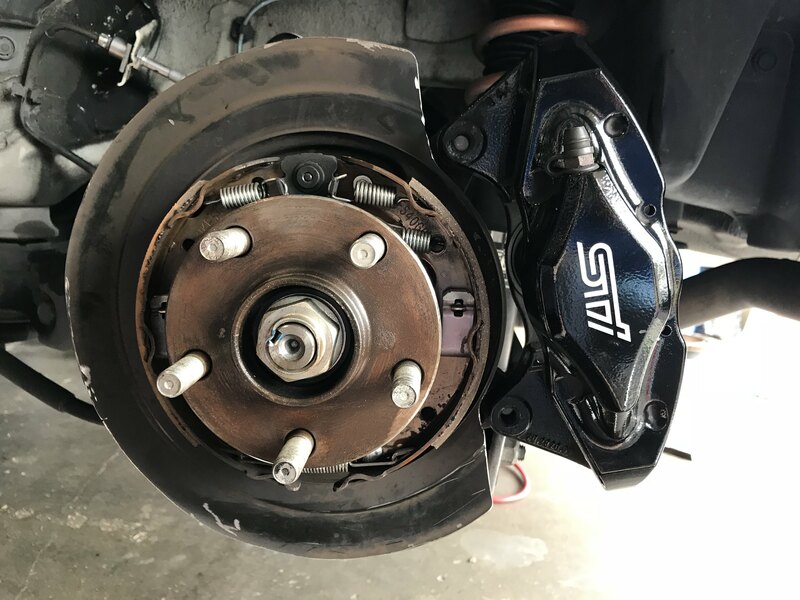 But even then, with everything else all done and brakes the limiting system... everyone knows that even in the lighter and more competent STi the OEM brakes are inadequate for the track. No matter what you do. Better fluids to reduce the onset of heat issues, proper bleeding and master cylinder brace to optimize feel, and more aggressive pads for bite and durability only go so far at the track, on even a lightly modded STi driven hard. On a DD those same easy changes will take the already excellent FXT brakes to a performance level all will appreciate but few will ever benefit from,,, and their effects would produce essentially the same results as the STi Brembos without the time, effort, and money entry-level Brembos, like the STi's, (apparently) entail. 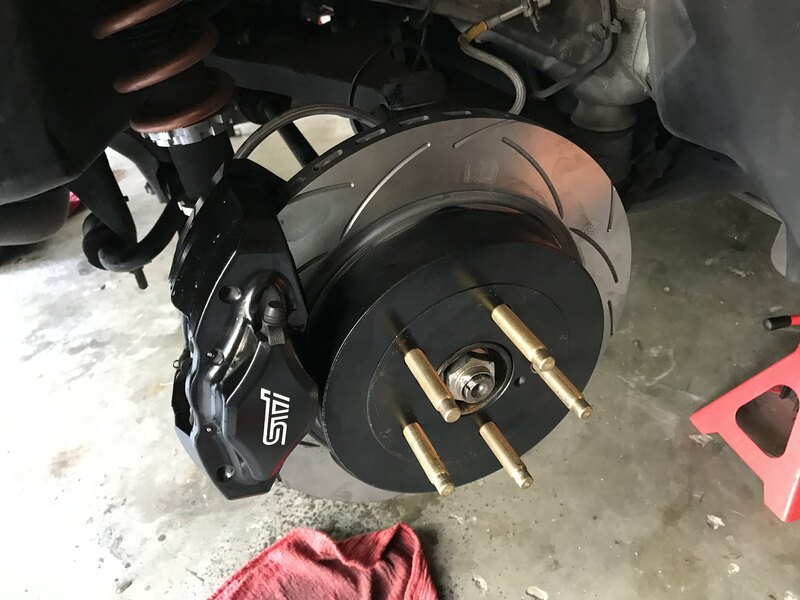 There has NEVER been a time or hint that my FXT's brakes were less than excellent... although I started its journey with proper maintenance and a MCB (I like the OEM pads). More importantly, EyeSight likes them. 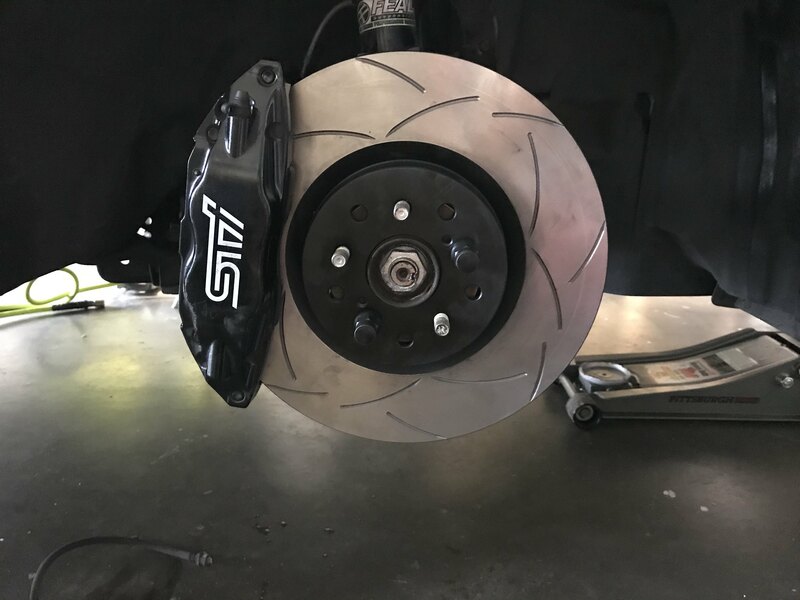 Subaru has bet the farm on these brakes. As far as I know, they still have the farm. All that yada yada aside, your work and writeup are above reproach. @Fate I can understand your question, for sure. 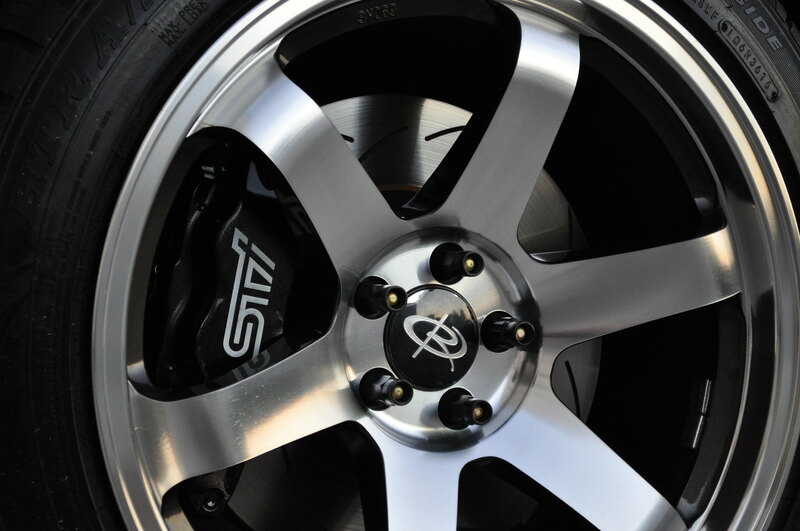 I'll admit, yes, part of it was the look factor, of seeing those nice STI Brembos peeking out from behind the wheels. 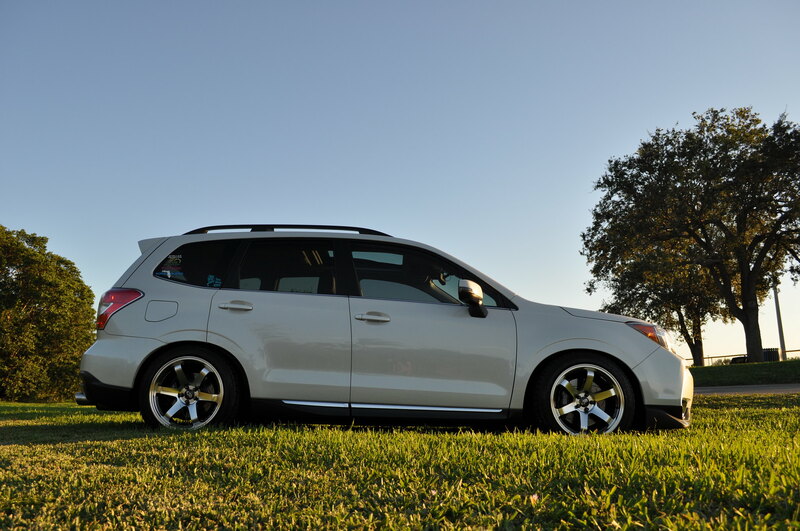 Secondly, from the very beginning, I wanted to create an XT that wasn't quite an XT, but more like a WRX with more room. And lastly, my trip to the Tail of the Dragon last May showed that I could really benefit from a better braking setup. Swapping cars with @FL Fozzy showed me that while I had more power, his Stoptech pads and rotors elevated the confidence I had in the brakes during a hard run through that amazing stretch of corners. Could I have done the same? Sure. Would it have cost a lot less? For sure! But part of the fun I've had with this Forester is doing something different. When I found a great deal on a set of Brembos, I went for it knowing that if I wanted to run them on all 4 corners it'd be a project. And a project it was! But now that it's done, I look back at the entire process and smile. 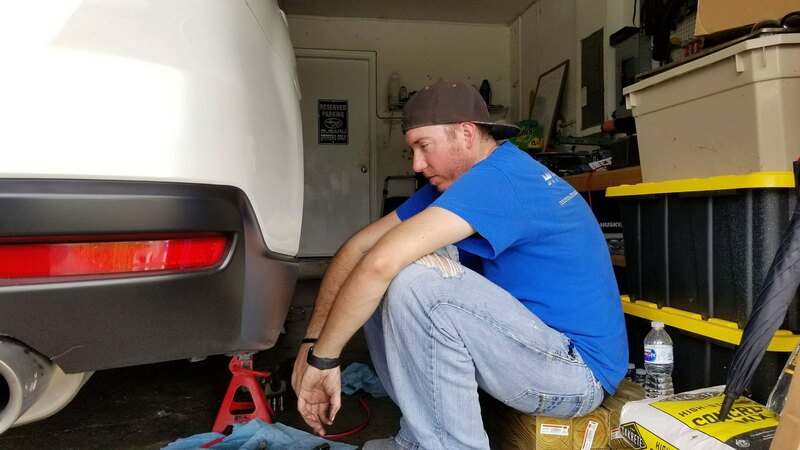 I've got a great Subaru community around me here, and I had a lot of fun hanging in the garage with Subaru friends trying to figure all of this out. I feel that the braking system now better matches the power output of the vehicle, and while I more than likely won't be carving up the track every weekend, I feel that I could take a few hot laps and have a great time. At the end of the day, I think I take a bit of pride in saying "I wanted to do it, and it's done." I'm the first to admit that just about every single thing I've done to my Forester didn't NEED changing. However, everything I have done, I personally enjoy, and it makes me smile whenever I slide behind the wheel. jkoppee, Fate, nicksoco831 and 3 others like this. @Mack_White-XT I'm sure I'll see you at Mega Meet on Saturday in Lakeland, right? Guess I'm still hoping we can get the bits that come from the actual Forester TS. At this point is it only the rear rotors that would be needed from that model? 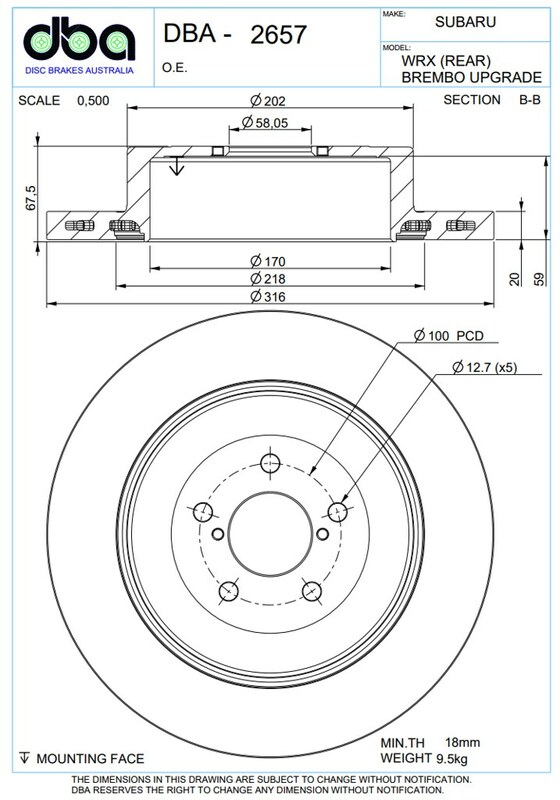 If we have accurate measurements, maybe we should just look at a group order of custom made rear rotors from a shop? 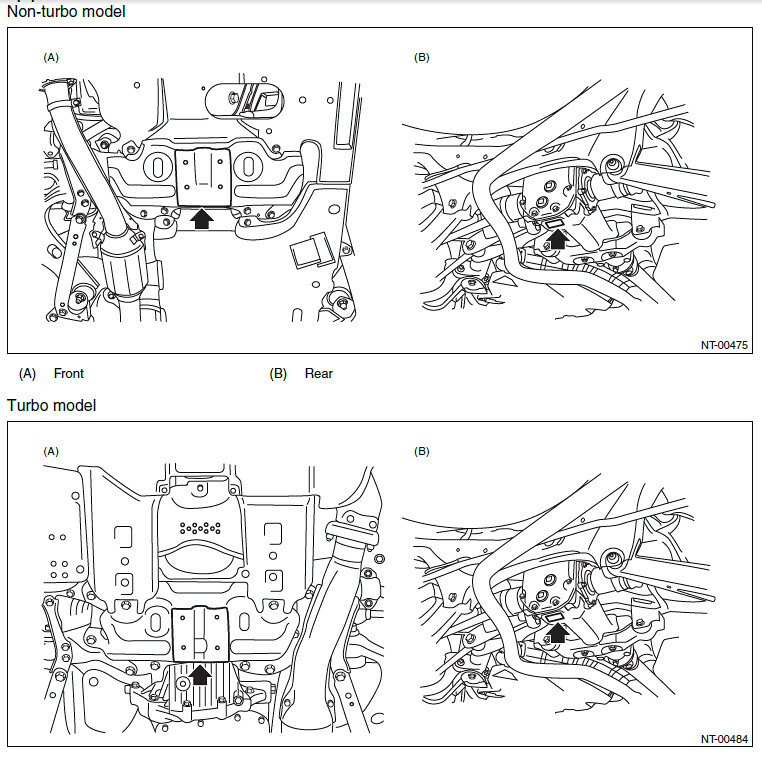 @aggie113 I was never able to confirm the specs of the Forester tS rear rotor, nor whether it still uses a 170mm parking brake or the more widely used 190mm brake. The part number is ST26700YS001 according to a thread here. So far I haven't seen a firm price, or even a company that would import them here, so I did this instead. 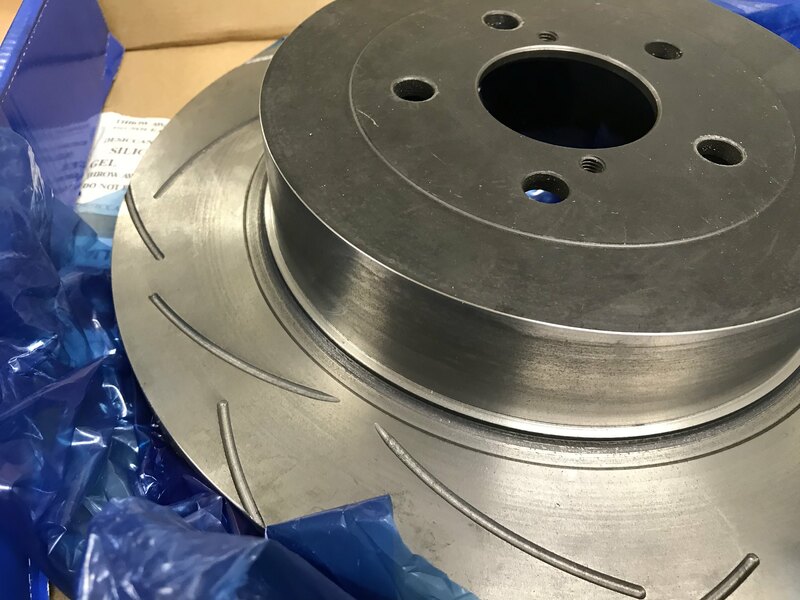 As far as a group buy, I can tell you that I contacted 2 different vendors that produce custom rotors, and I was looking at over $1,000 for one set of rotors. Obviously, I wasn't doing that either. 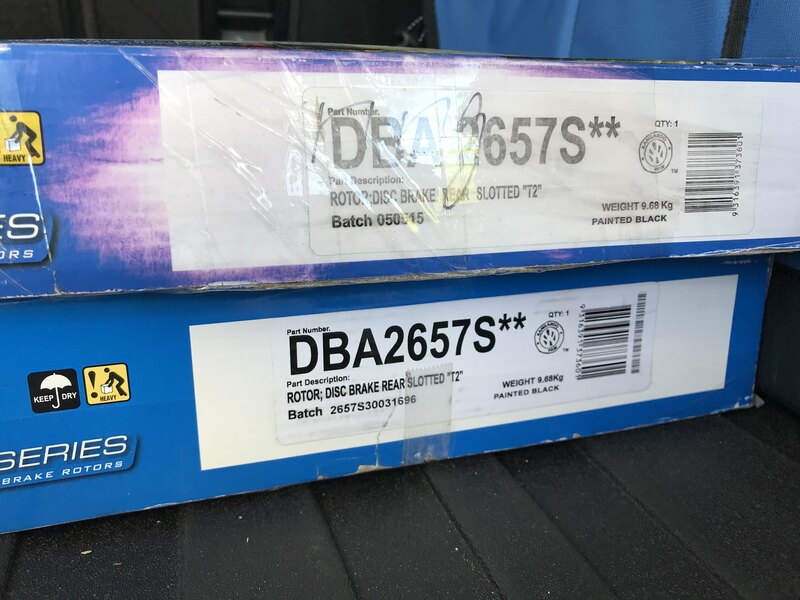 Since I already had the DBA rotors, and couldn't return them, I went for it. I did send the specs to DBA, so perhaps they'll make a rotor for this application. If they do, I'll be first in line. @Raz007 .....dude....that is an awesome job and great work regardless of the motive you had behind wanting to do this project (even if it was just for the BLING factor....AND having better braking as a very nice side effect)..... beautiful build man....keep up the good work! S#....it's what makes a Subaru....A SUBARU! Today 12:34 PM by Osceolakidt00!